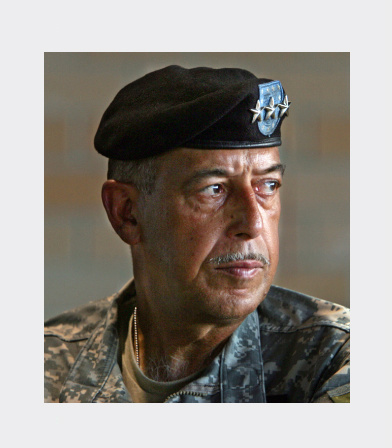 Lieutenant General Honoré is a native of Lakeland, Louisiana. He was commissioned a Second Lieutenant of Infantry and awarded a Bachelor of Science degree in Vocational Agriculture upon graduation from Southern University and A&M College in 1971. He holds a Master of Arts in Human Resources from Troy State University as well as an Honorary Doctorate in Public Administration from Southern University and A&M College, an Honorary Doctorate in Laws from Stillman College, an Honorary Doctorate in Humane Letters from Virginia State University, Honorary Doctorate in Humane Letters from Stillman College, an Honorary Doctorate in Humane Letters from Loyola University, an Honorary Doctorate in Humane Letters from Virginia State University & an Honorary Doctorate in Humane Letters from Meharry Medical College.